What are you hoping to buy for the aromatherapy lovers on your gift list? If you’re stumped, we’ve got a product that we’d like to recommend. It’s the ZAQ Galaxy. The ZAQ Galaxy is a 200 ML essential oil diffuser that’s crafted out of a high quality ceramic and a powerful LED light. It’s suitable for use with a variety of oils and has one thing that many other diffusers do not. The special feature comes courtesy of the company’s Advanced LiteMist aromatherapy technology. It’s a proprietary way of infusing the air with moisture as well as fragrance. Consequently, people that use the ZAQ Galaxy diffuser are more apt to enjoy beautiful skin all year through. Now how may aromatherapy diffusers do you think are able to provide that benefit as well? On top of that, the ZAQ Galaxy Diffuser is capable of improving a building’s interior environment for up to ten hours on a single charge. An A/C adapter, which is sold separately, may be used to extend its use. We should also mention that the diffuser features an automatic shut-off and uses very little power in the first place. In addition to the Advanced LiteMist aromatherapy technology, the cool-to-the-touch LED light changes colors while the ZAQ Galaxy Diffuser is in operation. So in effect, a person’s room will be flooded with soul soothing light as well. Some of the colors that have a tendency to appear are green, aqua, yellow, blue, pink and white. 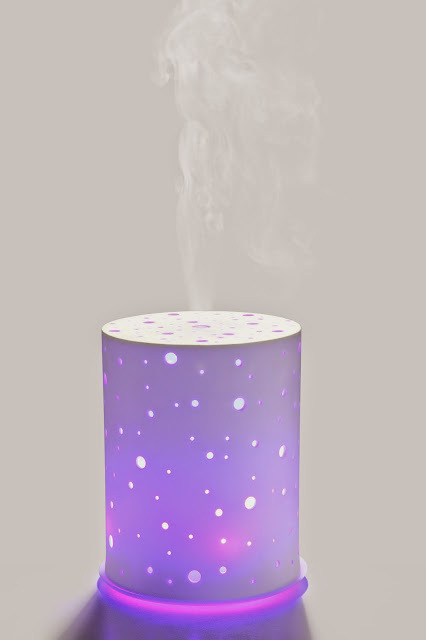 To learn more about the ZAQ Galaxy Diffuser, please contact us at Bombay Electronics today. In advance of the gift giving holidays, we are offering free shipping to people that order the ZAQ Galaxy Ceramic LiteMist Aromatherapy Essential Oil Diffusers and other items that total $25 or more. Plus, we always offer great customer service and a 100% secure shopping environment as well as waive sales tax on orders being shipped out of our home state. Therefore, you can feel confident that purchasing ZAQ Galaxy Diffusers for everyone on your guest list won’t break the piggy bank or leave you greatly dissatisfied.